For 58 years, the Linden Athletic Boosters Club has provided over two-million dollars of financial support for all types of athletic endeavors throughout the Linden community. 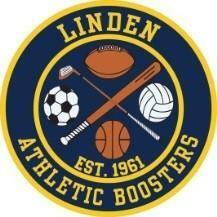 On average we donate approximately 50,000, however in this past year alone, the Linden Athletic Boosters Club has donated approximately $56,000. In general our donations go towards purchasing uniforms and equipment for sports at Linden High School; making significant improvements to the sports facilities throughout Linden Unified School District; facility fees for LHS golf & tennis; Freshman Sports; signage including All-League and championship banners; tournament sponsorship; scholarships for our graduating student athletes; and awards for LHS athletes/teams. In addition support is given to Linden youth/middle school sports and the LUSD PE programs. The Linden Athletic Hall of Fame was started in 2006, and the Boosters Club helps to sponsor the event, which now takes place bi-annually. On occasion we also help make monetary donations toward non-athletic endeavors in Linden Community such as Linden Jr. Miss, The Linden High School Band, the LUSD Middle School Band, ACE Show Choir and the Linden High School Associated Student Body. The Linden Athletic Boosters Club is able to make these types of contributions by staging five major fundraisers during the school year. These fundraisers include the Kick-Off Dinner & Dance, a Baroldi & Rib Dinner, a Golf Tournament, the Reverse Raffle, and a World Series Pool . These fundraisers, along with revenues generated from; membership dues; ads and sales of our Fall Sports Program; ads from our fall/winter/spring Sports Posters; the concession stand during home football games; occasional Baseball Bus Trips; and our Lion TEAM Store allows us to provide the needed support to Linden Community Sports. With your help, we can continue to make significant contributions to ensure youth sports in the Linden Community are the best they can possibly be. Thank you for your support………. GO LIONS!! !